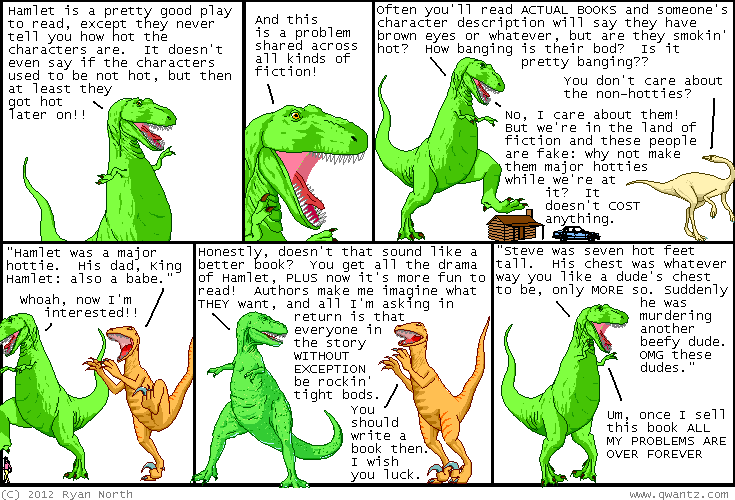 Dinosaur Comics - November 5th, 2012 - awesome fun times! –I am successfully going for an early-morning walk!! I don't know who taught him this: was it you?